Hi Weena, this is truly a beautiful piece of post, so much wisdom and so much practicality in doing a simple thing that can be the harbinger of loads of health benefits. We look at big things and ignore these little things that makes such difference in our life. Thoroughly well researched and wonderfully presented and it is delight for any reader to go through so much of juicy information and so well organised and particularly the choice of words and use of little sentences have made it a magical read. 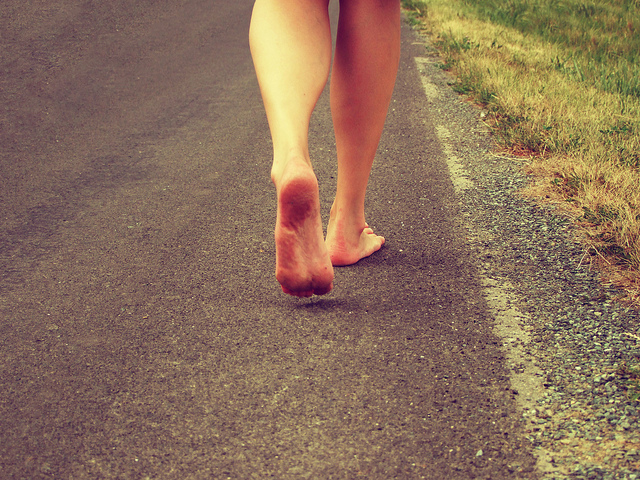 I am obsessed with walking and I can completely relate with the bonanza that comes with barefoot walking. 26 joints in our foot and so much of work the feet does for our health and we have slowly forgotten and many of us have no clue about its immense benefits. Thanks for reminding all of us. 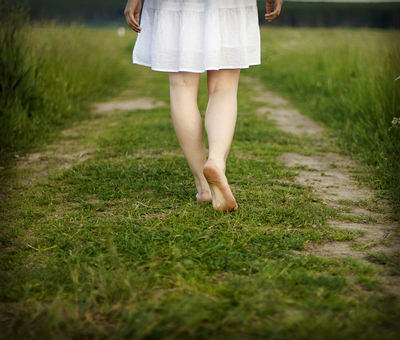 So much of science behind the practice of barefoot walking, saints have been doing for ages. The role of negative ions in our body and how we are deeply surrounded by positive ions, it has skewed with digital disruption and we keep complaining about our increasing health problem and the symptoms like inflammation to irritation all comes from these stressed sources and we don’t allow to exit from our body through the channel of barefoot. Regarding mindfulness while walking barefoot so true we get that attention but has been kept out of thought and now I can relate it so much when we are protected with expensive fancy shoes we just look at out stride not on the step and the moment we are in but at the distance we were to cover when walking. 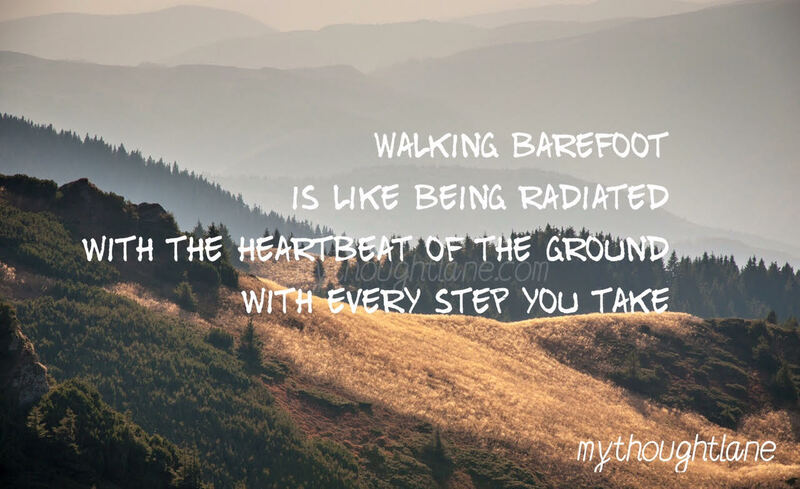 I agree we have limited space to do that barefoot walking as most of the places are concrete and covered, in fact walking on grass or soil gives the best out of barefoot walking. Thanks once again for sharing this lovely post. Nihar thank you for those lovely words of appreciation which is an encouragement to write more. In fact, I was waiting for you to read and your comments. I know your penchant for walking and knew you would see value in the blog ! My pleasure and it was such a delightful post, I must thank you. I was thinking of reading something deeply engaging today and I landed in your space and I was welcomed with such a wonderful post… Looking forward to more such insightful post and when it comes to walking and writing I am emotionally pulled into that vortex. 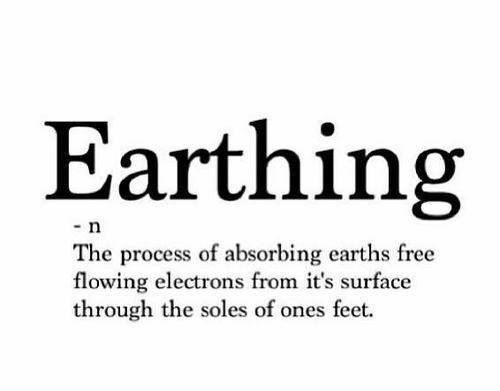 Did my first barefoot walk today for similar reasons as the above. I loved it. I understand the stigma, but at the end of the day its just a person walking without shoes. It reminds me of Whats-his-name on Dual Survivor, who did everything barefoot. Thank you for this post! 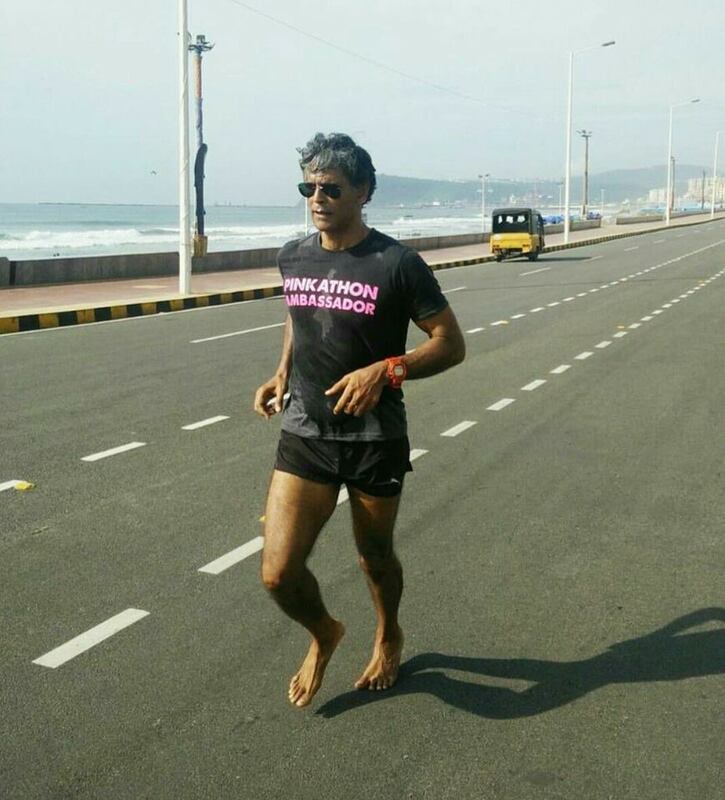 I am also on the journey of barefoot walking. I definitely prefer being barefoot, but I have recently acquired a pair of minimalist shoes that I can wear for the times when I can’t be barefoot. I do find it interesting that you still suggest stepping with the heel and then rolling forward on the foot. Most of my reading suggests stepping with the forefoot and rolling back to the heel. Thank you for your post on this topic! I am also on this barefoot journey! @Barefoot Dad, I am glad you liked the post. I practice it as much as I can. Would love to hear your experiences. I haven’t gotten to do too much with it yet, but being a stay at home dad, I don’t get out of the house very often. However, I am always barefoot or in only socks whenever I am in my home. When I spend time outside or walking my dog around my property, I am either barefoot or wearing minimalist shoes which preserve the full flexibility of my foot. I will tell you now that, since I sudden ly switched from padded shoes to thin shoes all the time, I do occasionally get some foot or leg pain, but I think that’s mostly just my body adjusting. I have also improved my balance! I’ve become more aware of my foot position and my feet have also become more wide, which provides a more stable base. Thank you! And most definitely!